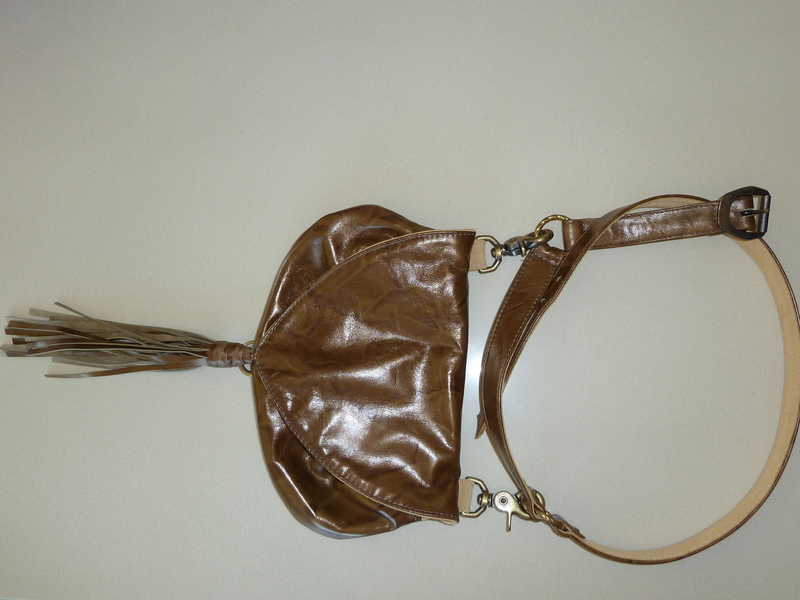 Fanny Packs went out of style almost 2 decades ago but have you noticed that people still love the idea of a bag that does not have to be held, yet fastens to your person…. which pretty much eliminates one losing it. Someway or another I think it’s a fashion idea that won’t die. My way of approaching it in 2012 is to make it into a fascinating shape with interest in the details. 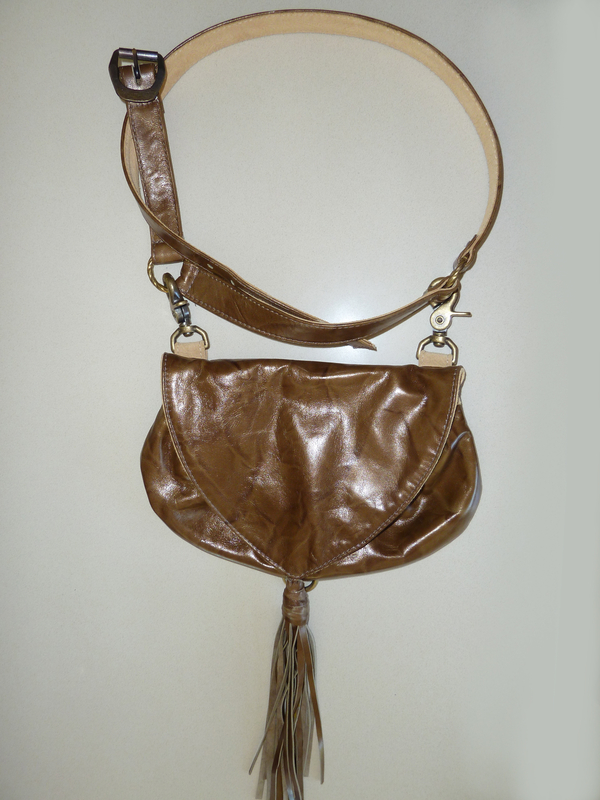 This bag one of my newest belt pouches has a fullness and shape that screams purse but attaches to your body by a thin and attractive belt. 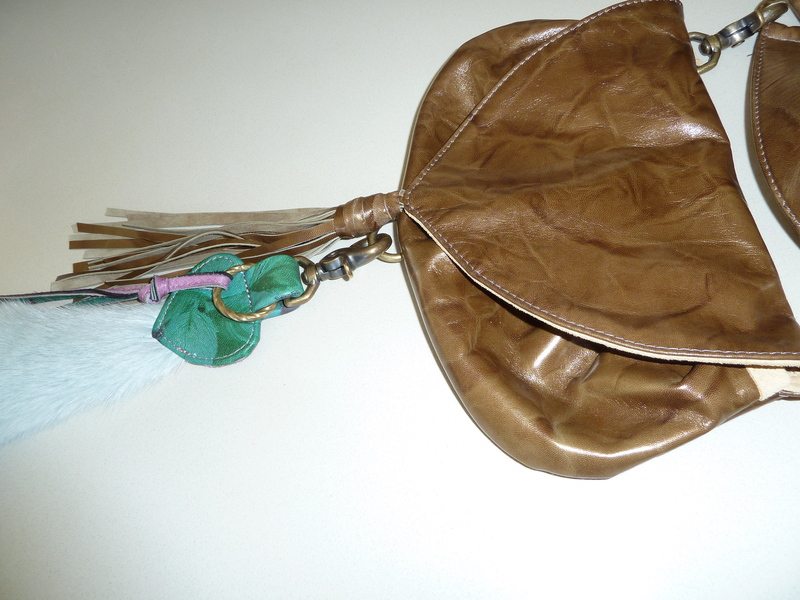 The pouch can actually be unhooked from the belt to be used a a handheld bag, or be hooked to another purse or your belt loops. The belt of course can be separated to become a belt for your pants or decorate a blouse, shirt or dress. A male version of this concept can be easily construed. The pouch itself has a interior zipped pocket and is lined with a chamois suede that has a subtle print. The exterior is a smooth fine calf leather that you’d expect to see in a pair of shoes. The finish is a bronzy-gold that is somewhat mottled in color and is interesting to look at. It is finished with a long tassel in the point at the bottom of a rounded shape. 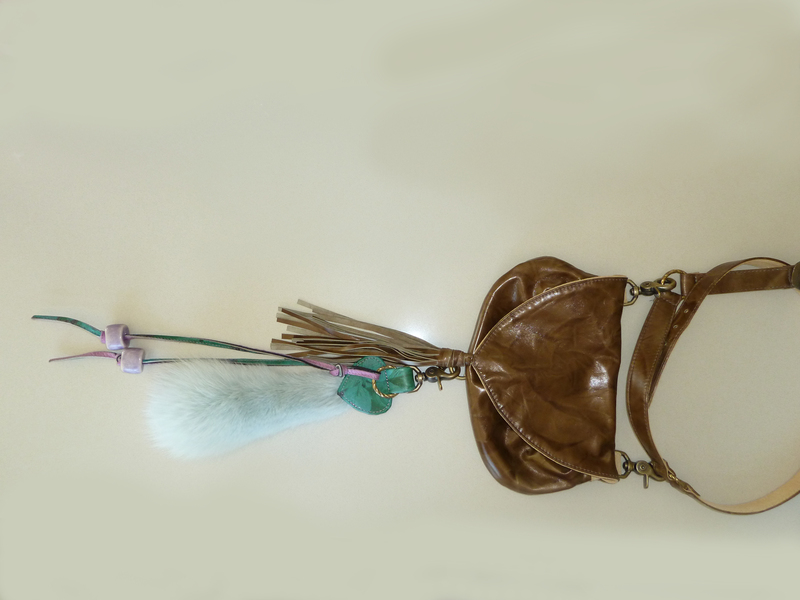 I’ve added one of my key hook-decorators that has a fox fur tail on it, a few beads and some bright and contrasting leather strands, fun when the person wearing it is moving as the decoration moves and accentuates the movements. 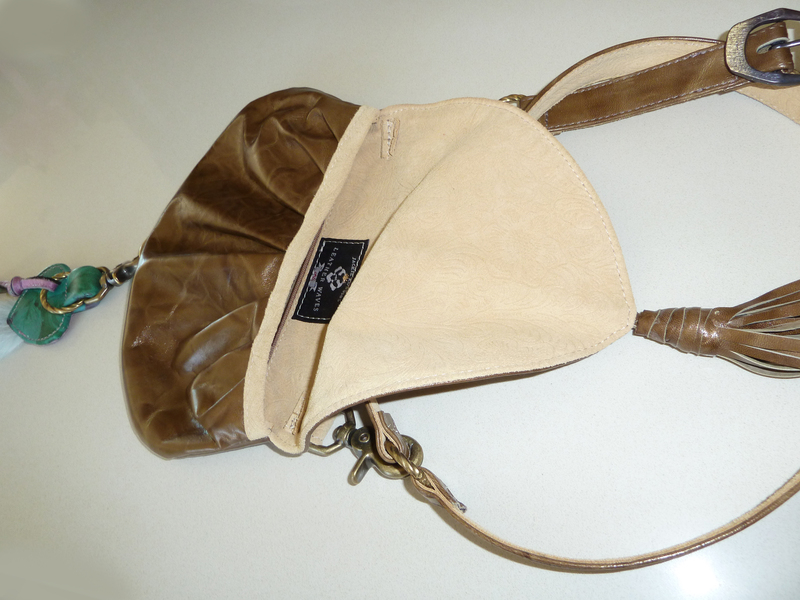 This item can be Custom Ordered in a variety of colors, textures, patterns and combinations of leathers and suedes. This piece can also be done in "no-animal" materials.